Varied Family History items on the Monikie, Scotland Website. A selection of the many pages on this site regarding . .
but some 'related' to the Monikie area, the Stirling surname, and many other items of interest. Also, links to sources of further reference and interest. Best to use the website SEARCH ENGINE to check for your ancestor or address. The format of dates throughout the World differs from country to country. If you use the INTERNATIONAL DATE STANDARD you should not encounter problems - if you do NOT, your research and data are going to be confusing. Please DO NOT EVER use simple numeric like 12/08/14. PLEASE THE STANDARD - DD MMM YYYY as in 04 JUL 1876. The Webmaster has an interest in Family History in particular, and local history in general. Being a a member of Tay Valley Family History Society it is recommended that all persons with 'roots' in the Tay Valley area become members - wonderful value! This page will take you to some of the pages on this site with a Family History content, much more than the webmaster's interests. Some FAMILY HISTORY forms part of the area's LOCAL HISTORY available on this site too - click the LOCAL INTEREST button at the foot of the page. by FAR the best way to look for information on this site is to use the site search engine. 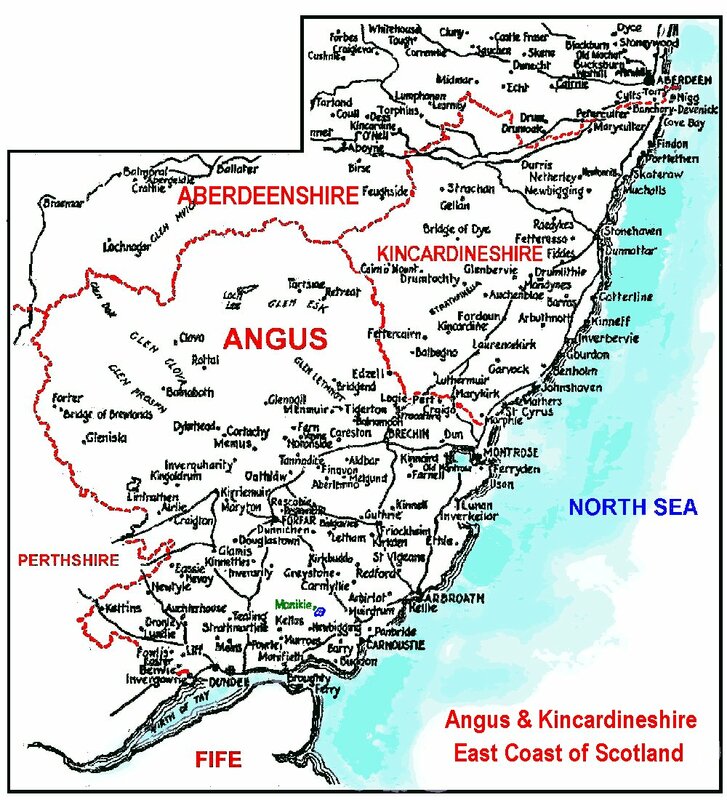 To help you find your way around this area here is a large map (326k) of Angus and Kincardineshire showing the Parishes and some place names. You really must look at this site, http://www.old-maps.co.uk/index.htm, for Ordnance Survey maps around 1860 -1890 for (nearly) all of the U.K. - I can highly recommend this site. I would recommend using the 'old site' version - it takes longer to load but shows much bigger maps. 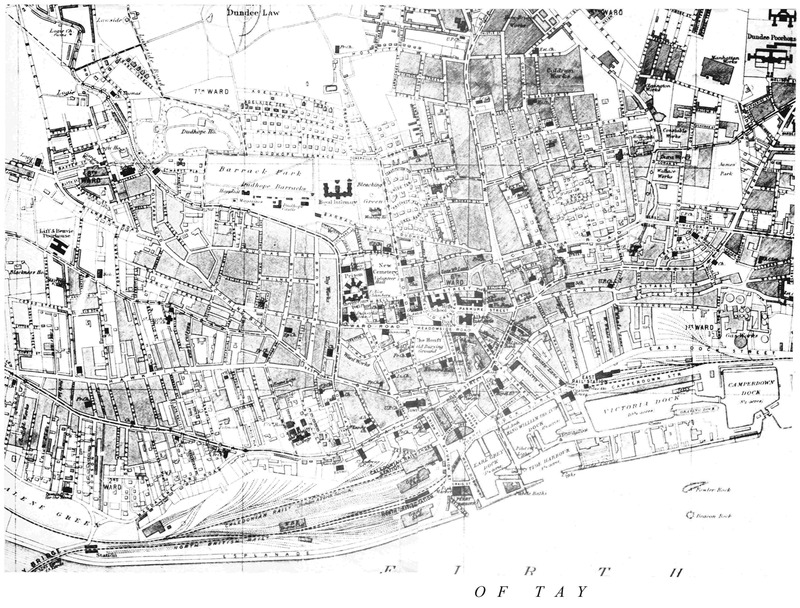 Sketch Map of Dundee, Scotland in the sixteenth century. A comparatively new tool in Family History research is DNA testing. This is not to the standards used by police forces and some others, but is to a level which can REALLY help in your research for ancestors. I recommend that you have a look at the www.ftdna.com website. The STIRLING or SKIRLING, etc. SURNAME, information. Some of my STIRLING pages give various general information and use the SEARCH ENGINE BELOW for 'stirling' for more, elsewhere on this site. Mainly, my research is based on the ANGUS (or Forfarshire), East of Scotland "branch", but recently added entries too, brings my list to over 2500 persons, including other parts of Scotland. You can download a copy of the file, a list of STIRLINGS and SKIRLINGS, etc. The file contains records varying from very sparse, right up to considerable detail - please read carefully about its content before you decide if it may of use to YOU. On the list the entries do not record persons of the STIRLING surname from other areas of Scotland (but this is being worked on - watch this space! ), unless they married or died in ANGUS, but the SKIRLING SURNAME entries are for all Scotland, although most appear in this area. The STIRLINGS of KINCARDINESHIRE were added in July 2000. A book extract about the Proscription of the Clan MacGregor and their DNA. Over 300 records of deceased persons, called STIRLING and STERLING, in the OHIO state of U.S.A.
Data from the 1841 Census for GLAMIS. This page has now incorporated into a comprehensive list for Angus (part) - see below. Data from the 1841 Census for ARBIRLOT. This page now incorporated into a comprehensive list for Angus (part) - see below. Always adding more index data from the 1841 Census for many enumeration districts in Angus, including some for Dundee. Read more HERE. A list of Statutory Death Records in Angus, in 1855 is being collated. Some data available now. Statutory Death Records for Monikie, Angus and Errol, Perthshire registration districts for the years 1855 to 1875, 1881 and 1891. There are connections between the Earls of Strathmore and the SKIRLING family. Read here about GLAMIS CASTLE and the lineage of the Earls. Look here for some photographs of Kinnettles Village, Kirk and Kirkyard - of the webmaster's family history interest (not in Monikie Parish - but nearby in Angus) - see some STIRLING stones. The Flax Trade - in Dundee, Scotland, but applies equally elsewhere. 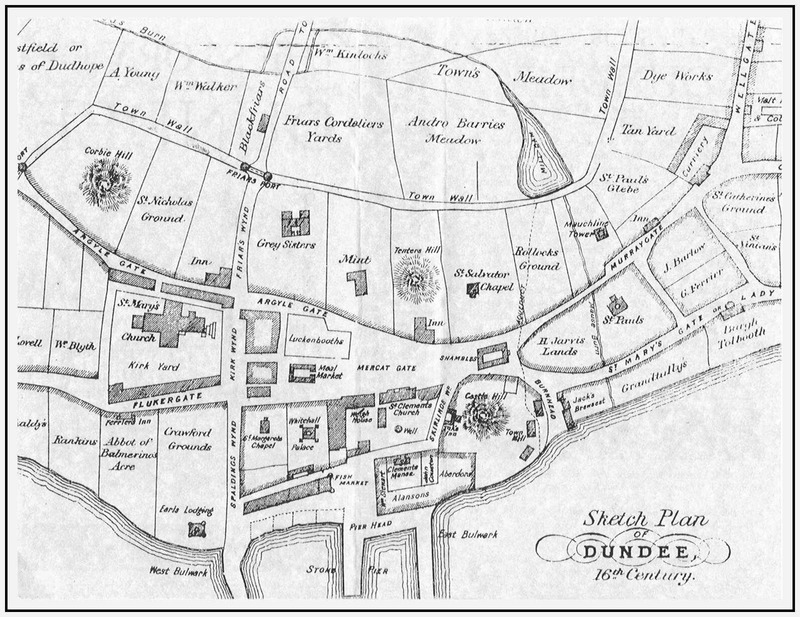 An Old Dundee Map - a VERY large file. The NEISH family of Affleck, and elsewhere near Monikie. The STURROCK family of Guildy, Monikie. The inscriptions and other old records, etc. for Monikie Parish Kirkyard (burial ground). Death records from the Old Parish Register for Monikie. The OTHER Tay Bridge Disaster in 1902. Brief details of some burial grounds in Dundee, Scotland. Comprehensive details and photographs of the gravestones at the Old Burial Ground, Broughty Ferry, Dundee. A list of Baillies, Provosts and Lord Provosts of Dundee (acknowledgement to Dundee City Council). The forgotten Disaster. A volcanic eruption of LAKI volcano in Iceland in 1783 was indirectly responsible for a huge death toll throughout the World. The BBC have a webpage on the subject, but a Google search (Laki, Iceland, 1783) will likely bring more. Were any of your ancestors affected in 1783/1784? The CLEVELY, CLEVELEY or CLEVELAND surname. Possibly originating at sometime in Oxfordshire, England, but more particularly in the Avon, Gloucester and Worcester areas of England, although all areas are of interest, also some general notes regarding the surname. Read here about the Scottish 'Lowland Clearances'. A few Census Statistics, mainly for for Dundee, Angus, Perthshire and North Fife, but also for the sixteen largest towns - all in Scotland. Most are for 1931, but Dundee totals from 1801 to 1931 are included - also in chart form. A collection of pages on this website, mostly by (or in the style of) a Canadian contributor. Various family history information is there, relevant to Angus (formerly Forfarshire) in Scotland and more lists yet to be made available so keep looking back to 'Arlene's Lists' - for 1000's of names! Much of the history of this area can be read in 'The Monikie Story' by the late, Rev. W. D. Chisholm. There is a large index of names and addresses mentioned in this book - a link can be found from the book webpage, or use the site search engine below. You may wish to check if your family tree is represented somewhere on this site by entering the name in the Search Engine. Look, too, at the fore-runner to 'The Monikie Story', the Statistical Accounts of Scotland for the Parish of Monikie, for the years 1791/99 and 1842 and for several other local parishes. Should you wish to check the records at the office of The Registrar of Births, Deaths & Marriages, 89 Commercial Street, Dundee, DD1 2AF, SCOTLAND. - - Tel. +44 (0)1382 435222: Fax. +44 (0)1382 435224: email - registrars@dundeecity.gov.uk I can personally recommend researches being carried out in local registrars' offices where you may be able to see the 'real' register, not a copy, as so often in Edinburgh. www.scotlandspeople.gov.uk to carry out further research. This website is seen by many to be the most important available to some researching Scottish Records. Angus Council Archive centre at Restenneth is situated about 4 miles to the East of Forfar. From August 2006 a service bus has been introduced and you can get a single timetable HERE, or 4@ in PDF format HERE. Dundee City Council Archives website. 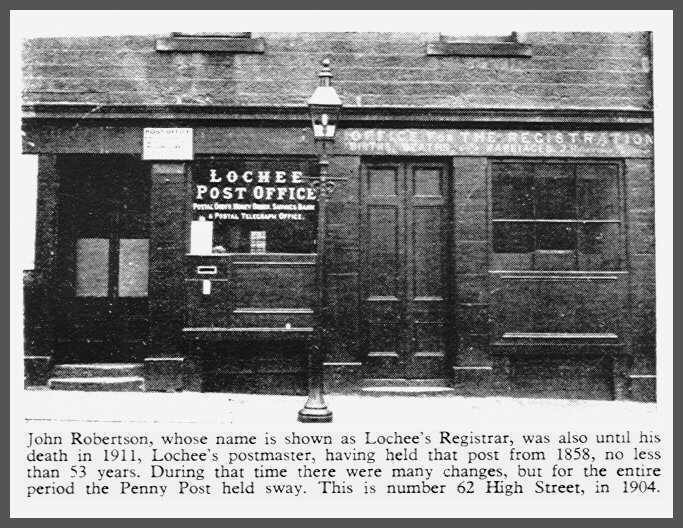 Perth & Kinross Council Archives website. Can you help trace descendants of family likely to be in Scotland and/or Canada/USA? They may not know that they are connected to an important event in Irish history, the assassination in County Donegal, one of their ancestors - JAMES MURRAY from Perthshire. READ MORE HERE. Check YOUR origins by following one or more of the following links. This is a commercial site which allows you to access an entire copy of the indexes of Statutory Registration of Births, Marriages and Deaths for England and Wales from 1837, almost to date. (This webmaster has some experience in using this website and would suggest that users are very careful in dealing with what is on offer - read VERY CAREFULLY the notes on the website, particularly as the fee charged does NOT allow return 'free' visits to the same index pages already viewed on a previous visit (as is the case at www.scotlandspeople.gov.uk) - 'session cookies' only. You are advised that the images that are provided are NOT in a 'normal' graphics format but a (free of charge) software viewer is required . The images DO NOT have filenames NOR do they have any heading or other identification!! If you mix up you need to start from scratch and progress more carefully!! I advise that you TAKE YOUR TIME and search only ONE YEAR QUARTER at a time and SAVE (and best print) the images with a filename that YOU CREATE and that YOU can follow. Since I last used the website the method of searching has been improved. It is worth noting that the results do NOT give dates - only a quarter when the event was registered, with the registration district and reference. Further (high?) costs are involved to get the registration details and these may be incorrect. Having made much use of the research facilities in the Dundee Family History Centre of The Church of Jesus Christ of Latter Day Saints (LDS or Mormon Church) for several years in the early 90's the webmaster wishes to put on record his grateful thanks to the assistance received, in particular to Mrs. Clancy and other staff there, and in general to all those volunteers and others who have brought such a wealth of information into the public domain for all researchers to use. 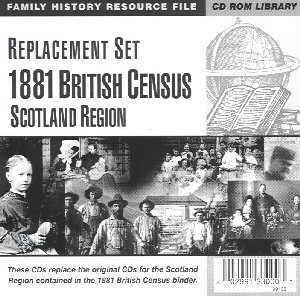 (I am pleased to have been a volunteer in the task of collating the 1881 UK Census Data to computer format, now available on CD-ROM - and have the t-shirt to prove it! ). The following links relate to the LDS Family History software recording program for computer called Personal Ancestral File (PAF), and to the GEDCOM transfer utility. Also a page in connection with the issue by the LDS on CD-ROM of the 1881 Census of the UK. Some years ago, as a member of the local Tay Valley Family History Society the webmaster suggested that the society might consider taking on the task of bringing together the computer records of as many members who wished to supply the data. The documents are reproduced here for interest and comment from you, the reader. Details of how GEDCOM FILES can be transferred and 'bulk' edited. - Put the #1 Scottish CD in the CD-ROM drive. - Right-click on the CD-ROM drive and choose Open. - Double-click on the Bi1881 folder. - Right-click on the Sc1dtlaz.nfo and choose Properties. - Look at the created date - if it reads 30 Sep 1999, you have the fixed version. The (monochrome) cover for the 2 replacement CD-ROMS for Scotland (a Country, NOT a region - LDS please note!). In order to create an improved list of counties for your CD-ROM set please LOOK HERE for a table, print, laminate, trim and punch it, and place it in your folder. The 'county' CD-ROMS need to be numbered in the CORRECT ORDER first, in order to use this 'table'. (Local note - The County of Angus is referred to as "Forfarshire", and that Broughty Ferry was in the Monifieth district. LDS in Salt Lake City might want to include such an item in the folder and number the CD-ROMS in future reprints but refuse to respond to emails on the subject. You may wish to some extracts from Old Books, including Statistical Accounts, about Angus, the Stirling and other surnames, or use the search engine to look for a surname or place name. You may not be familiar with the Statistical Accounts for Scotland (1799 and 1845): these are now available on-line at http://edina.ed.ac.uk/statacc from Edinburgh University. A very valuable resource and interesting reading if you have the patience to wait for each new page to load. Several local parishes have been transcribed and are available HERE. Poignant poems - 'Dear Ancestor', 'Census Taker', and 'A Letter from Heaven'. You are advised to use our website search engine to see if, and how many times, YOUR ancestor, their address, or much other information may found on this website - read the notes there for best results.